Green Light To SkyScrapers in Putney Equals Betrayal! Green Light To SkyScrapers = Betrayal! Local campaigner Lisa Smart has launched a petition as Conservative councillors give green light to Putney skyscrapers. 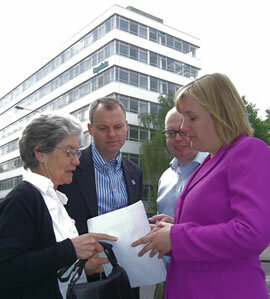 Lisa Smart and the local Lib Dems have launched a petition, already signed by hundreds of local people. Local people can add their name to this petition at www.OurCampaign.org.uk/PutneySaysNoToHighRises . There will soon be a local by-election in Putney. The Lib Dems believe that local people will have a straight choice between local campaigner Lisa Smart, or yet another Conservative councillor to do what town hall bosses say. Labour can’t win in Putney.